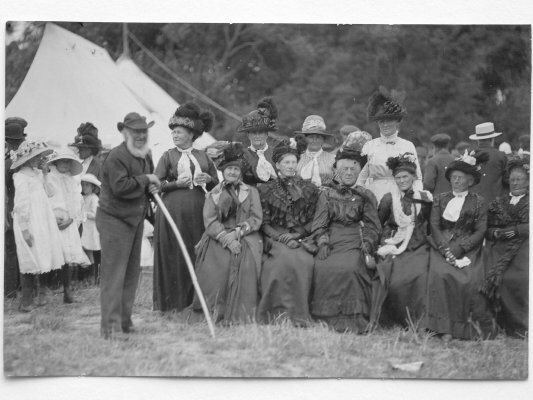 Description Local ladies at the opening of the first Wairau Bridge in Renwick, 1913. 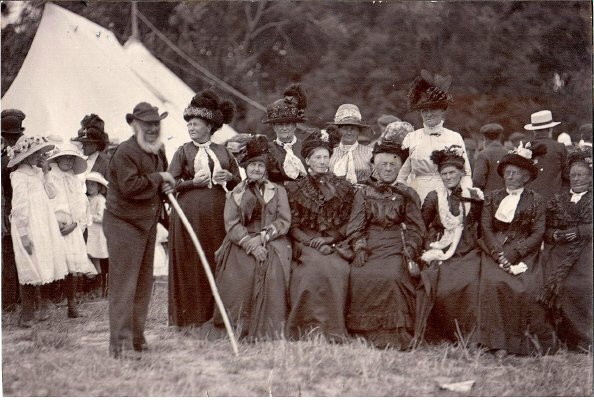 Back Row: Old Mr. Looms, cousin Emily, Mum, cousin Annie, Mrs. Harry Reeves. Front Row: Mrs. Nesbit, Mrs. J.A. Lambert senior, Mrs. Looms (who is thought to be Mrs. Nesbits daughter Olive), Mrs. Barton, Mrs. McIsaac, Aunt Mag. Marion and Dolly Haines standing near cousin Emily. Stamped with "Marlborough Historical Survey in Pictures."